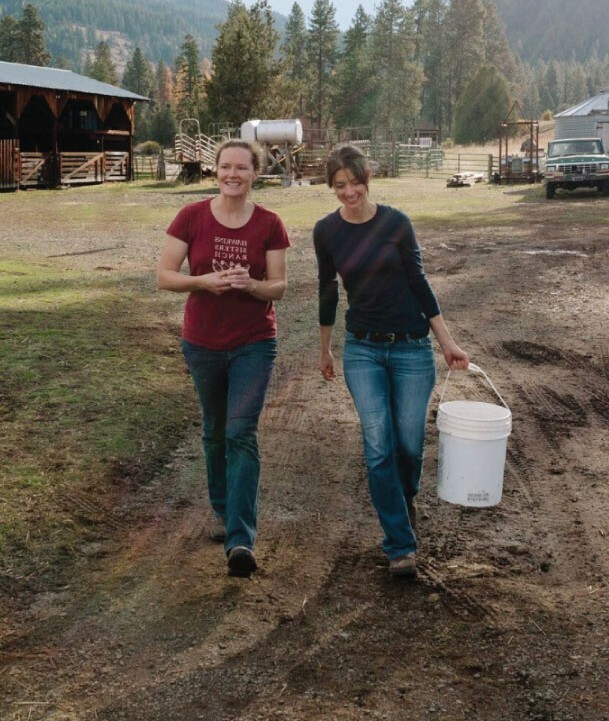 Second-generation rancher Mary Hawkins has never been able to resist the lure of the Wallowa Valley. Adventurous and spirited as a youth, she went to the high mountains to work as an horse outfitter, and later to Smith College where she studied and rowed. Still, she never stopped thinking of the Wallowa Valley as home and took every opportunity to return to and work in her rural community. Wanderlust took Mary on a cross-country bike trip and to many countries, but the stop in Glenwood, New York was a game changer. As she raised goats and studied slaughter capacity, Mary began to imagine the possibilities available if she were to return to Wallowa. Today, Mary has her own processing facility and, together with her partner, is changing elements of the supply chain and poultry production for herself and other small scale producers.